Carinthia’s landscape is simply made for the warm season. When nature reveals the full splendour of its colours, the crystal-clear waters of the Carinthian lakes sparkle in the sunlight and tables are covered with culinary delights, this is when you can experience Carinthia at its best. Watch cattle grazing on vast mountain pastures, whilst the milk is being processed into delicious alpine cheese next door. Enjoy mild evenings by the waterside as the sun takes its last breath of the day. All of this goes in hand in hand with the radiance of the Carinthian summer, which guarantees plenty of Magic Moments amidst nature. Carinthia, the region on the southern side of the Alps, has put its pretty summer dress on and is waiting for you. 20 “Magic Moments“ can be booked to twelve conservation areas across Carinthia, inviting guests to experience a world of wonder under professional, local guidance. The individual is reunited with nature, registering its treasures with all the senses. Varied hikes, wild animal spottings in complete silence and Carinthia’s number one element - water - guarantee unforgettable moments, topped off by delicious Alpine-Adriatic cuisine. A unique aspect of these experiences is that they are all certified for their consideration of the delicate flora and fauna that they lead to. This highlights the emphasis given to the harmony of humans and nature in Carinthia, as shown in the three example experiences below. The small municipality of Nötsch, at the foot of the Dobratsch in the lower Gailtal valley, impresses with its past. Its exposed location at the foot of the mighty mountain range, its bilingualism and position near the Slovenian and Italian borders have long awoken particularly innovative and culturally active spirits. The village is near Dobratsch Nature Park, which houses the diverse natural area of the so-called “Schütt“ (rockslide region), the result of a large landslide in the 13th century. Handicrafts and culture have been lived and breathed here for centuries, and can now be experienced on the “Culture Picnic“. The traditional Wiegele bakery, also home to Gailtal’s oldest mill, invites for a tour and tasting of its delicious goods. With a full backpack it’s time to hike to Castle Wasserleonburg, which looks out over Nötsch from a sunny plateau. As the guide relays the interesting castle history, particpants enjoy the view and their bakery treats. Back in the village centre, two further highlights await. In the “Alte Schmiede“ museum you learn about the history of metal, which can be traced back thousands of years, and the oldest Celtic discovery of the Eastern Alps. 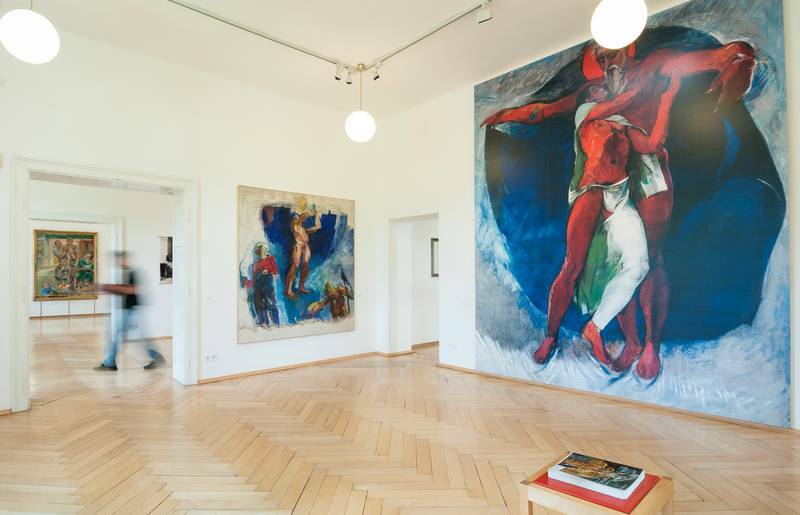 The Museum of the Nötsch Circle is the crowning end to the tour, with works by Sebastian Isepp, Anton Kolig, Franz Wiegele and Anton Mahringer, four of Austria‘s most important artists of the 20th century. The Nock Mountains, in the middle of the Gurktal Alps at the heart of Carinthia, are an optically special mountain range. Their soft curves, lovingly known as “Nocken“, dominate the horizon and are perfect for all types of hike. The Nockalmstraße mountain road also leads through the Nockberge Biosphere Reserve, one of the most stunning panoramic routes in the Alps. The Eisentalhöhe is the highest point of the Nock Mountains, and it is from here that the hike with the biosphere park ranger begins. Accompanied by the chirping of the marmots, which are highly populated in this area, the ranger talks about the special geological features of the “Nocken“ and their unique inhabitants. Having reached the summit, it‘s time to head down to the picturesque setting of the Karlbad, Austria’s oldest farmers‘ bath house, dated back to the 17th century. Glowing river stones heat the healing water to up to 40 degrees and, covered by boards, create a relaxing bathing experience in giant wooden tubs. The warming steam of the sulphurous, iron-rich water engulfs tired hikers, with only the cowbells to be heard in the distance. A farmers‘ spa in its most ancient form! After the extensive wellness session, traditional “Kärntner Käsnudeln“ are served in the farmhouse, which is still run without electricity. The Survival-Tour with Nature Active Guide Elias Umundum promises to get you back to the basics in the Bad Kleinkirchheim region. Far from civilisation he tests the participants‘ orientation, builds a base camp and gets right up close with nature. Not just shelter and hunting tools are self-made using natural materials: participants are also responsible for catching their own dinner. Fish is cooked on the campfire as the group enjoys the warming rays of the evening sun. An incredible feeling, to be at one with nature. Find more information on the "Magic Moments" available from the beginning of March until the end of September 2019 here (German only) The “Magic Moments“ are selected examples of special encounters with nature in Carinthia.